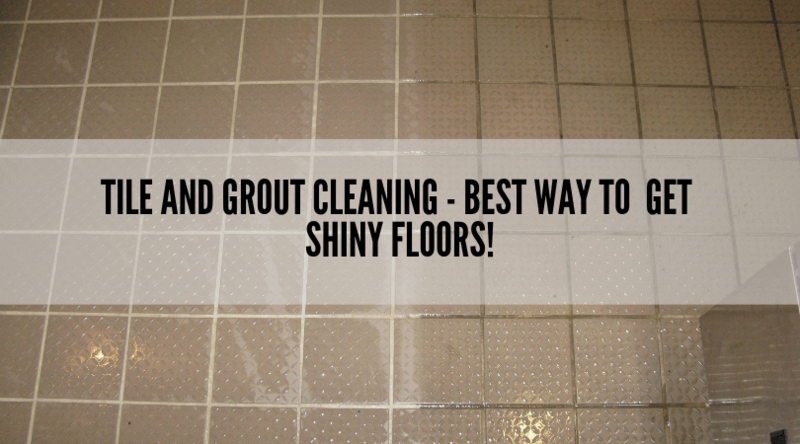 Tile and Grout Cleaning – Best Way To Get Shiny Floors! It’s not a good idea to neglect the tile floor cleaning on a regular basis. This is because over the time your tile flooring accumulates dirt, allergens and other dust pollutants inside the space between the tiles called grout. If it is not cleaned for a long time, then it can cause severe health issues to you and your family members. The professional tile and grout cleaning service is the ultimate way to restore the dirty look of your tile flooring back to its shiny form. Using the latest equipment and cleaning techniques, professionals help you with eliminating mold, allergens and other dust pollutants. As a result, many health issues like coughing or wheezing, stuffy nose, sore throat, skin rash, or burning eyes can be avoided. Other than this, there are other benefits of choosing tile and grout cleaning service. Let’s explore it together! If any impurities accumulate on your tile and grout, then it destroys the structure of your tile flooring. Due to this, the dirt and bacteria buildup causes unseen damage which can cost you more money on the replacement of the tile and grout. Hiring professional tile and grout cleaning service helps to remove this dirty buildup, extending the life of your tile flooring. Experts will not only prolong the life of your tile flooring for a long time but also improve its look. They use the advanced tile and grout cleaning products which will maintain the shiny look of your tile flooring. Over the years of experience, professionals have a thorough knowledge and expertise to handle every type of tile and grout cleaning needs. Therefore, don’t overlook having your tile and grout professionally cleaned again. Over time, your tile flooring constantly receives foot traffic, no matter where they are installed. Whether the tile flooring is in a bathroom, kitchen or entryways, harmful contaminants penetrate deep inside the flooring. As a result, it affects your health causing various respiratory problems. By professionally cleaning, it improves your health plus avoids any health-related problems from occurring. Even though you vacuum or mop your tile flooring every day, it is important to contact professionals for quality tile and grout cleaning service. Using the eco-friendly cleaning solutions, the one company which provides satisfactory cleaning result is All Pro Carpet Care. We specialize in repairing or replacing grout and tile to make it beautiful as before. Events such as flood, earthquake or plumbing accidents can be easily handled by our team of cleaning experts. For more information regarding our cleaning services or to get your free quote, contact us at 661-747-4441. You may follow us on Facebook, Twitter, Instagram, LinkedIn, and YouTube to get the latest updates. 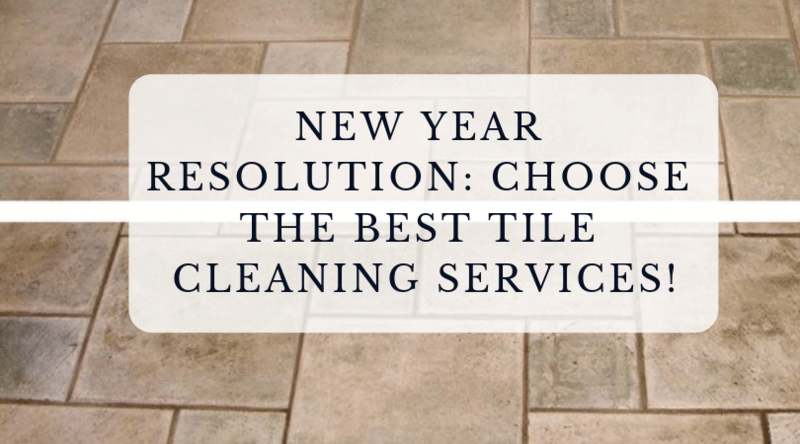 New Year Resolution: Choose The Best Tile Cleaning Services! A clean house before the new year arrives brings in the good luck and fortune to your home. Also, there is a very strong belief in people that if they deep clean their homes they will get rid of all the sorrows and bad luck of the previous year. So, how about starting 2019 with some new year resolutions you can follow? To have a fresh feeling of a new year set a resolution to choose the best tile cleaning services. Yes, you heard it right! A clean home starts with clean tile flooring. By observing a lot of pins on Pinterest about tile and grout cleaning DIY’s, if you are excited and have bought cleaning products? Take a break! There is no magic trick, cleaning products clean your tile and grout but manpower is the main important aspect needed. Therefore, there is nothing better to start your new year resolution taking an oath to choose the professional tile cleaning services. You agree that tiles are the most important element of your home adding functionality and design that most products cannot deliver. Even tiles are the most attractive and durable which enhances the overall look of your home. Therefore, it is important to provide a thorough cleaning to your tiles. Choosing professional tile cleaning services you will have complete peace of mind of having a clean and sparkling tile flooring with no damage and trouble. Professional uses tried and tested cleaning methods and state-of-the-art equipment to restore your old tile look back to its original form. They will take care that all the dirt and allergens are removed from your tile and grout, reducing health issues. Also, in case of broken tile or grout issues, they will take necessary repair actions or also replace them when needed. Professionals solve any grout issues providing regrouting service which will add a protective layer on your tile flooring. The tile cleaning service provider comprises a knowledgeable and skilled team of cleaners who are experts in handling all type of tile and grout cleaning issues. Overall, professional tile and grout cleaning services can provide the confidence and pride back once you had in your tile just like it was installed initially. Calling in professionals provides a thorough tile and grout cleaning which help prolong the life of your tile flooring. Bringing back the original beauty of your tile flooring, All Pro Carpet & Tile Care is one of the leading companies you can assure. To preserve the life of your sealants and get the shiny look we ensure to use eco-friendly cleaning products. 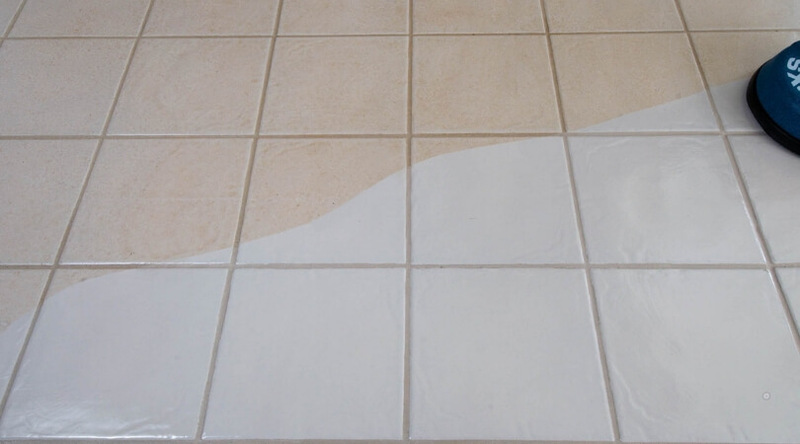 To get the free tile cleaning services estimate, contact us at 661-747-4441. Let us help you list out your new year’s resolution saving you more time to spend with your family. Does Vinegar Remove Urine Odor From The Carpet? Pet urine will not only leave an unpleasant odor but also penetrates deep inside the fabric and contaminate your carpet underneath. At this moment, the main challenge is to remove pet urine odor from carpeting. The solution to this to opt for professional pet odor removal service or use natural ingredients like vinegar. 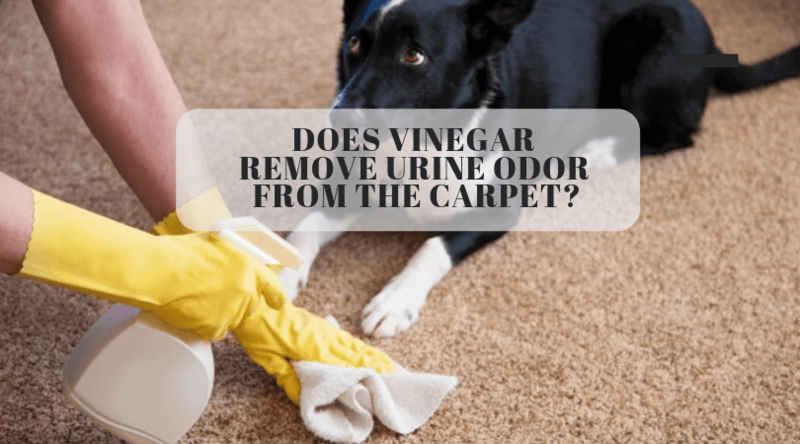 Whether you have shifted on a new home having pets or already a pet owner suffering from these issues, it is very important to verify, does vinegar remove urine odor? From so many cleaning agents, it becomes difficult to choose the one providing accurate cleaning result. Studies have proved, vinegar is the simplest home cleaning agent causing minimum damage to carpet, hardwood floors and other elements of your house or office. It is the natural disinfectant and deodorant, useful in removing the urine odor from your carpet. Once the mixture is prepared, drizzle it on the surface of the carpet. Ensure that it penetrates inside the lower fibers in the carpet. After pouring the mixture allowing it to settle for at least 10 to 15 minutes. Take paper towels and soak all the liquid. Once the liquid soaked in the paper towel and is almost dry (normally after 1 hour) sprinkle a little of baking soda on the area and allow it to settle for 15 minutes into the carpet fibers. As a result, it will absorb the urine odor when followed by the process of vacuuming. Get To Know The Pet Odor Removal Service Cost by Professionals! Before landing on any professional service provider offering affordable pet odor removal service cost in Bakersfield, it becomes essential to know the market rate. This can make you aware of any hidden cleaning charges and helps to maintain the budget. There has been diversifying growth in the pet odor and stain removal market. Several professionals have been providing this service has a different price range. Approximately, it will cost you around $4 to $300 on pet odor and stain removal service. Again, the cost will depend upon the damage area and type of carpet. Searching For the Best Pet Stain and Odor Removal Service? Whether you want to get rid of hard stains or odor from your carpet, All Pro Carpet Care is here to help you. We are the trusted company providing the best answer for the question generally been asked by many people, does vinegar remove urine odor from the carpet? We provide many cleaning services for years to the people of Bakersfield and nearby areas. To book your appointment call us at 661-747-4441 or fill up our online inquiry form. Also, for recent news and updates about our cleaning offers, you can follow us on Facebook, Twitter, Instagram, and LinkedIn. Carpet is a perfect material to soak up urine and contaminates. If you have pets at your home, the issue of pet stain and odor is unavoidable. Even a well-trained pet has accidents sometimes and leaves unwanted urine stains or dirty odor on your carpet. After that, the first thing comes in your mind is to look for the experienced professional cleaner and the best pet odor removal service cost provider in Bakersfield. The carpet odor and stains removal process are quite complex. It depends on the size of the affected area and the intensity of the odor. 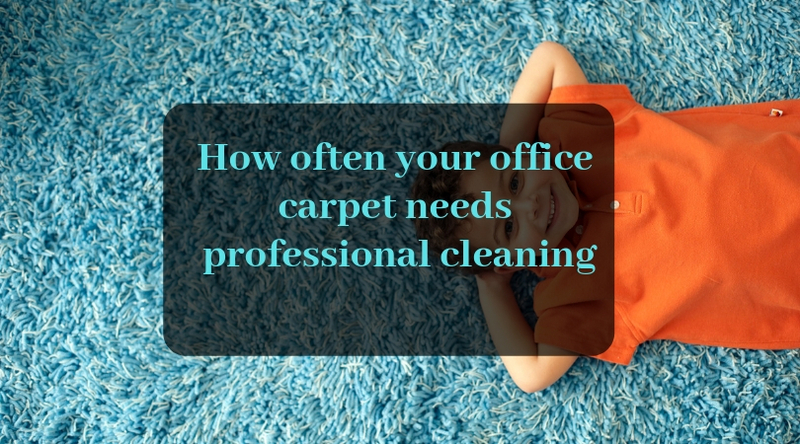 Sometimes in high intense odor cases, the cleaning treatment fails to eliminate the whole carpet odors. So the key to lessening the lasting consequences is to clean the affected area as soon as possible. 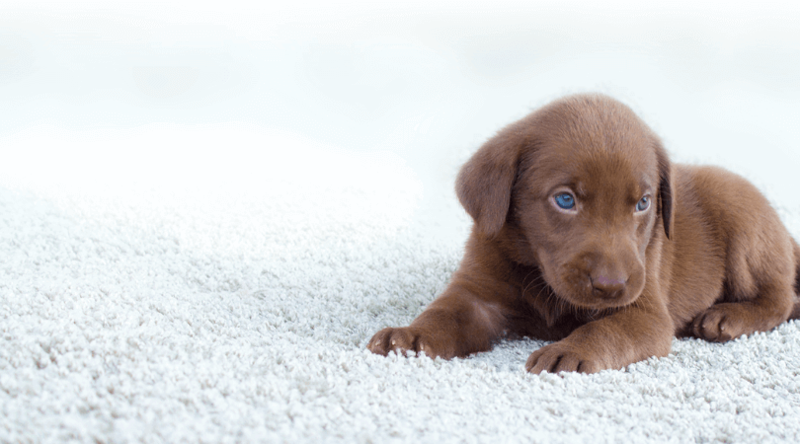 Here are some working tips to remove pet stains and odor from carpet. As soon as the pet accident happens, try to soak up as much of the moisture as possible before it dries using paper towels and newspaper. Keep a thick layer of paper towel on the accident area and cover it with newspapers then press it firmly. Now remove the paper towel and put a new set of towels and press it again. Repeat the same process for 3 to 4 times. Now rinse the affected are thorough with clean water. After rinsing soak up the moisture using a clean and dry towel. This will take care of most of the bad smell. Now rinse the affected area using clean water. After rinsing soak up the moisture using a clean and dry towel. Once elimination of moisture is done using a vacuum or hair dryer to speed up the drying process. The above 3 are effective to remove most of the odor, but in case if there are still some signs of odor then sprinkle baking soda over the affected area and scrub it lightly, and let it work for 3 to 4 hrs before vacuuming. The baking soda is not abrasive; it is safe for carpet fibers and helps to eliminate the remaining signs of odor. By following above tips you can easily get rid with pet odor and stains, if are still confused and want to consult a professional then you can call us on 661-747-4441. 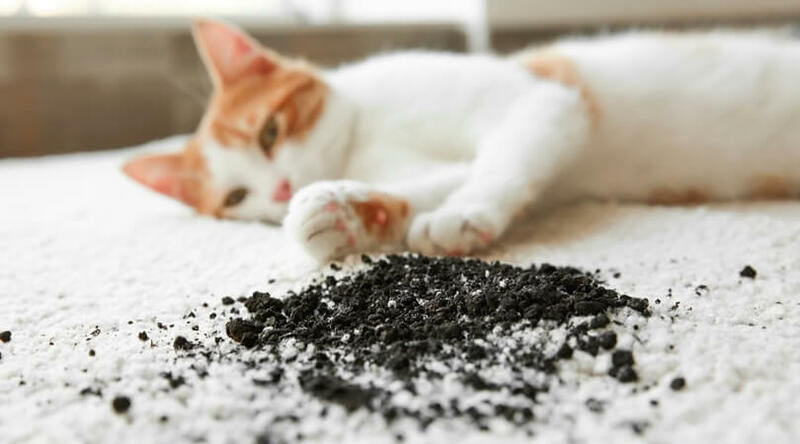 All-Pro Carpet Care provides affordable pet odor removal service cost in Bakersfield. You can fill up our online inquiry form, our professionals will get back to you as soon as possible. Is your concrete or pathway looking little dirty? Could the outer space of your home benefited by deep cleaning? Looking for the best deep cleaning method? Professional power washing services can give you the desired results. If so, you’ve probably considered power washing as a viable option. After all, you can’t accurately scrub your home brick-by-brick, and the absolute force behind a power is more than any elbow grease can provide. Why? You’ll save time, money, and your back by letting them take over. You’ll also be safer and can rest assured the job will be completed in an appropriate way. Here we shared 3 major reasons to approach professionals when it’s the time for your next power washing job. Most people think that power washing is very easy, but actually, you pick up a power washer and learn the ropes fairly quickly. Yet, by doing so you could put both yourself and your property at risk. By their very nature, these machines are powerful and strong. The smallest-scale ones are enough to overtake a novice. That said, professional power washing experts are not only accustomed to them, but they use them on a daily basis. The cleaning operation will be handled by the professional who has been trained under the experts. They’ll know how to handle and manage the force and will keep safety top of mind. In the event that a slip-up does occur, they’ll have the means to make it right. Google “power washing services near me” and you’ll get a score of different hits, each one offering power washing using a blend of soap, water, and other detergents. 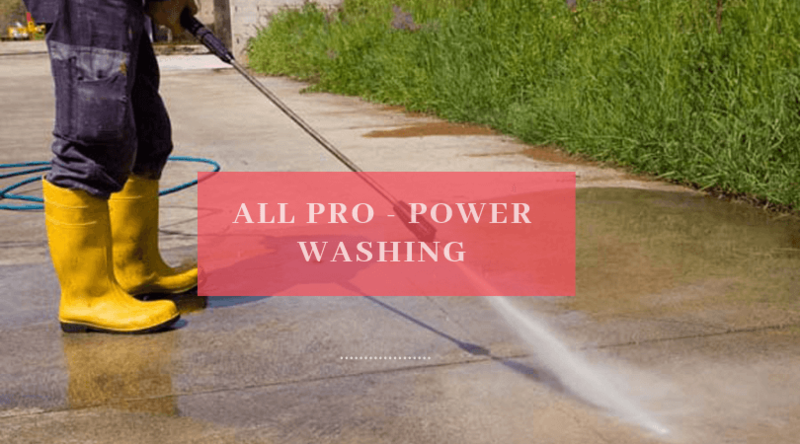 It is better to find a reputable and reliable company who provides the best power washing services without using harmful solutions. A professional will know which solution is good to protect your home and eliminate the possibility of harm. They will also be able to assess your home to decide if they need to adjust their solution to suit various surfaces. This way, you can be confident that the work is done right the first time. A power washer uses approx. 4 gallons of water per minute. If you decide to take on the project alone, the majority of water would likely run off into your yard or neighboring areas. Professionals at power washing company will be trained under experts in water conservation methods that they can use to collect this runoff and reuse it for upcoming projects. 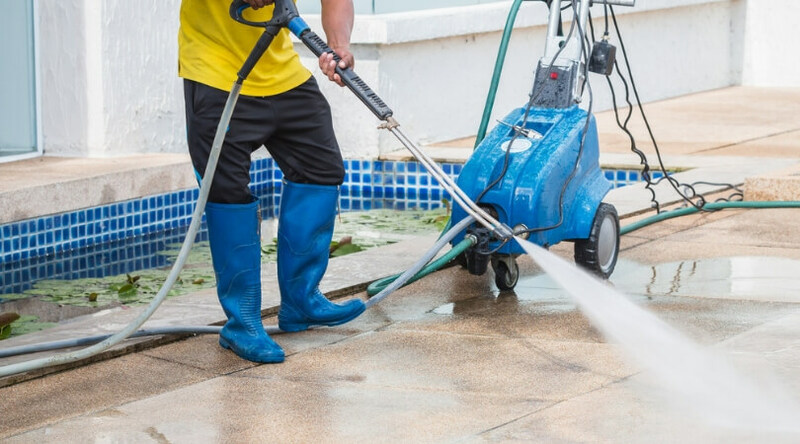 While this aspect might not be as important as other benefits, it goes a long way in reducing the overall impact that your power washing job has the environment. These were the 3 major benefits of professional power washing service. If you are thinking for power washing, you can approach All Pro Carpet Care cleaners. We provide power washing in Bakersfield and nearby areas. If you want to make bookings call us at 661-747-4441 or you can fill up our online inquiry form, our professionals will get back to you soon. Facing issues with old pet stains? Looking for the best odor removal service cost in Bakersfield? If you are a pet lover and have raised a pet at your home, you might have experienced pet stains and odor at your place. Even though the pet accident has occurred in one corner of the room but the smell can spread in the entire room. Cleaning old pet stains from carpet is sometimes essential when you miss out on the issue in the right way. Sometimes you find the pee because of the bad odor you experience. Treating a fresh urine spot is usually easier, but there is hope for older stains. If you are working with dog urine, you’re a bit more fortunate. Dog pee is water based and easier to break down and remove than cat pee. The reason cat urine is hard to remove is that it is oil based. Ultraviolet light, so you can identify urine in the carpet. A bucket and clean water. A vacuum that can extract water. You probably know where some of the urine spots in your house are. We utilize a UV light and moisture probe to identify all pee spots that we can before beginning treatment. This is great when done in the darkest room as possible. Mark the spots with sticky notes, chalks, poker, chips, paper scraps or something that will allow you to locate the entire issue and plan your remediation. Keep in mind that urine spreads as it hits the sub-floors, so what you see on top is sometimes only half the size of the real problem. Firstly, you need to vacuum the dried urine spot slowly and thoroughly to eliminate as much soil as possible. Sometimes spots reappear because of the amount of soil on and in the carpet. You need to do your best to control this soil and avoid wicking or soil rings. Remember to replace your markers if dealing with multiple spots. Next, you will need to soak the spot with a mixture of water and 3% Vinegar solution. Regular store bought vinegar is usually 5%, so dilute it 3 parts vinegar to 2 parts water. Saturate the affected area and allow the acidic vinegar to dissolve the alkaline urine salts. A 10 minute dwell time is usually enough. Remove as much as possible with a wet/dry vac. The SOS Sub Extraction tool is helpful for enhancing water recovery. Following the initial extraction process, flush with a mixture of water and deodorize, such as fresh waves in your house. Flush the area until the recovered water is cleared. You may also choose to use enzymes are living culter that kills other living culters. They can create an odor, and require time to work effectively. We also recommend flushing the area after using the enzyme treatment with a deodorizer. Once you have sufficiently flushed out all urine residue and have run your deodorizer of choice through the area, you need to extract as the water as much as possible. Again, using your wet/dry vacuum and the SOS extraction tool remove water until you feel you cannot remove any more water. After extracting as much as possible, blot the area with a towel to absorb as much surface moisture as you can. Place a fan on the area to dry quickly. An industrial powered centrifugal air mover is suggested and can sometimes be rented at hardware stores. A ceiling fan, box fan or another home fan can also be used. Drying the area quickly will reduce spots wicking back up from deep in the pad. If you do have a spot wick back on you, you will want to repeat the process as it is likely that you still have urine in the pad or carpet. Sometimes, even your hard work and best efforts will not eliminate all of the urine. Your carpet or rug may get permanently stained. Sometime the odor will not be removed for various reasons. 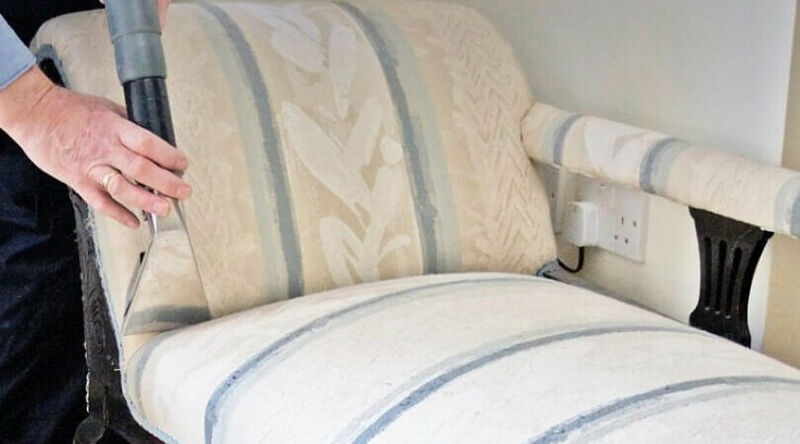 Cleaning old pet stains from the carpet is a salvage attempt and should be taken on after considering the replacement value and the need to stop further contamination. And repair structural damage. Call All Pro Carpet Care for professional cleaning, we charge affordable pet odor removal service cost. We have years of experience in pet odor and stain removal. Why We Need To Choose Professional Tile and Grout Cleaning Services? Over the time, dirt or debris accumulates on the surface of your tile and penetrates into the grout between the tiling. As a result, these buildups affects the beautiful look of your flooring. Also, if any harmful bacteria buildup on the surface then there are chances that it causes health disease. Poorly cleaned and maintained tile and grout seems to be dirty and unappealing. Therefore, to remove these buildup and avoid health risk, it is essential to opt for professional tile and grout cleaning services in Bakersfield. Other than this, there are few reasons to consider which provides you clarity on why to choose tile and grout cleaning services. If you are busy with your daily routine and don’t have extra time for cleaning, then the best decision is to call an expert. They can help you with all your tile and grout maintenance requirements, saving you time. As a result, you can have time to concentrate on your work, household errands, and other social functions. Satisfaction is an important feeling which comes when the work is completed according to your needs. Choosing professional tile and grout cleaning services in Bakersfield provides you the guaranteed cleaning results. Experts will ensure that any types of stains or discoloration will get removed and solved, and leaving you with beautiful looking tiles. The companies who are startup and don’t have any kind of experience might use the chemical cleaning products to remove stains. Although, professionals use the deodorized water and other chemical-free products for tile and grout cleaning. As a result, your pets and kids are safe to play around the cleaned and healthy flooring. If you don’t have any free time to clean dirty tile and grout in your home or office space, then pick up the smart way and hire an expert. Being the most renowned cleaning company, All Pro Carpet & Tile Care ensures you to provide satisfactory cleaning result. To book your next professional tile and grout cleaning services Bakersfield, you can contact us at 661-747-4441. Like us on Facebook, Twitter, Instagram, and LinkedIn to know some more information about our services and offers.